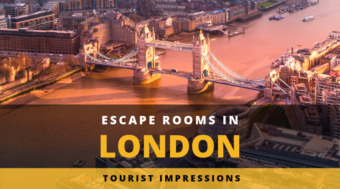 When we contacted Escape Rooms London about our visit, we were actually interested in one of their rooms in the London Bridge location. The owner told us about the new rooms in ANGEL and the themes sounded interesting. We booked both rooms back to back, although we were told that, ideally, you should have at least 3 people in your party. Both rooms have puzzles were more people are either necessary or at least really helpful. 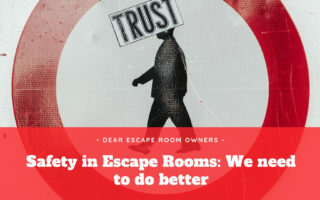 Well, since it was still just the two of us, Escape Rooms Angel was so kind to let us play and helped us out during the “more people needed” parts with bypassing some sections or altering some timers in our favor. Before we started the room, we got the briefing by our (super nice) game-master, who took his time to explain the setup as well as answer any questions we had. Afterwards, we received smart-phones. Why? 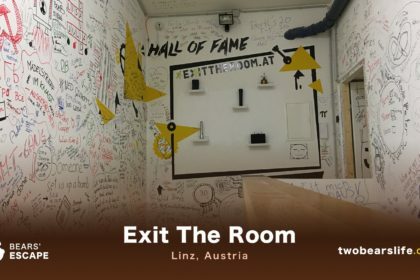 Well – you will need those devices to receive in-game messages as well as scan some QR-codes inside the room, which will start some puzzles. That was a first for us. After that, we were ready and entered to room. The first impression of Project DIVA is really good – the room looks great. The production values they put into both of their rooms is really high – you feel like you just entered a Space Station, with metallic and neon props and light all around you. Well done. Once the game started, we did struggle a bit with the general gameflow as well as the mobile devices. It is an interesting idea to carry those items with you, since it allows a very immersive way to receive inputs from the game-master. On the other hand, the smartphones (or the app – we are not sure what is to blame) are very glitchy and slow. We didn’t mind the idea, but it got annoying rather quickly to wait for responses on the devices, when you were never sure if it registered your input correctly. Although the smartphones are a bigger part of the game in PROJECT DIVA than in the other game, the room also had a lot of other elements that worked really well. 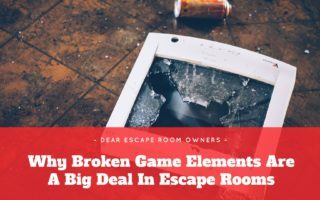 There are some exciting twists in the room, they have a lot of technical puzzles and tasks and the room feels like there went a lot of time into designing it. We did struggled a bit in the middle of the game, but our gamemaster was very attentive and helpful, and we later found out that this portion was actually the section where you would need more than 2 people. We made it out in time and had a lot of fun in the room. Today, your team will start the first manned mission to the moon since the Cold War. There are no journalists, flowers, or tears. It may be a one way mission, to find the base hiding on the dark side of the moon and destroy whatever the Nazis have left there. Are you ready for your mission? After taking a short break, we quickly started the second room of Escape Rooms Angel, which also has a very futuristic theme. At the beginning of The Dark Side of the Moon you will get handed the smartphones (again), but we happily realised during the game, that we rarely needed them. Since you have to carry a lazer gun, a notepad and a walkie-talkie with you as well, we did ask ourself why they felt the need to include the smartphones in this game as well? They did not add anything to the game (for us) and just gave you extra stuff to carry around. But I am getting ahead of myself – lets get back to the basics of the room: The Dark Side of the Moon is more action oriented than the first room, offers less puzzle / brain work but balances that out with more action and movement.The production and the room design is well done again and the room felt bigger than we expected. The story is crazy and fun. After struggling a bit in the end (because we encountered a situation where a third person would have been super useful) we made it out in time as well and finally got some time to catch our breath again. 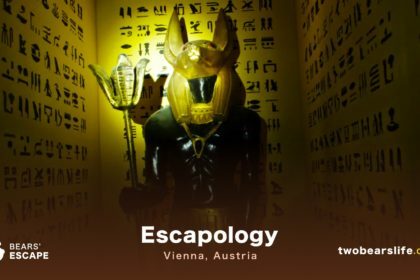 Both rooms of Escape Rooms Angel are pretty cool and interesting. Although they do not set a new standard (for us), both rooms offer some of the most unique Science Fiction room designs we have encountered. 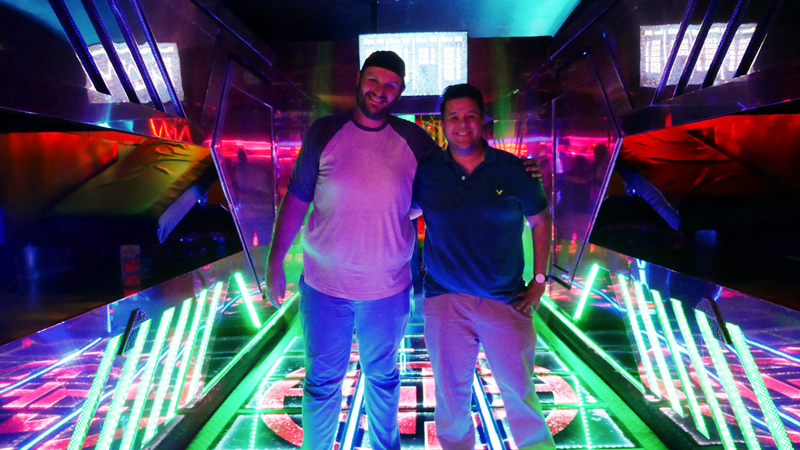 While “Dark Side of the Moon” sets the focus clearly more on family friendly fun and action, while offering a light dose of puzzles, Project DIVA offers more complex puzzles, while still staying true to the futuristic and colourful room design of the Escape Rooms Angel location. 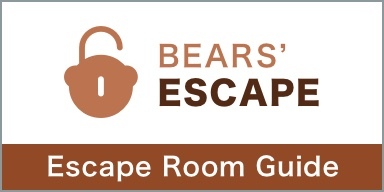 We did do both of the rooms just as a two person team, but we absolutely advise you to come with more. They had to bypass game-element of Project DIVA for us, since it was simply not manageable for two people and we also needed some extra help in the second room. 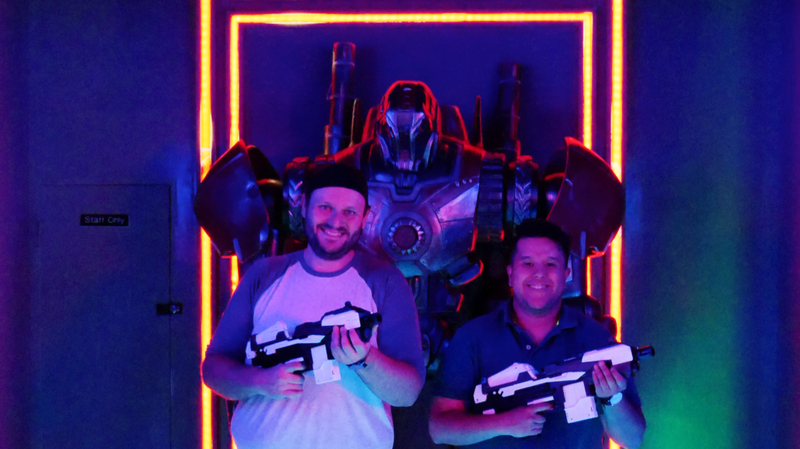 We recommend a team size of 3 to 5 people. Our game-masters were very nice and helpful when we needed them. 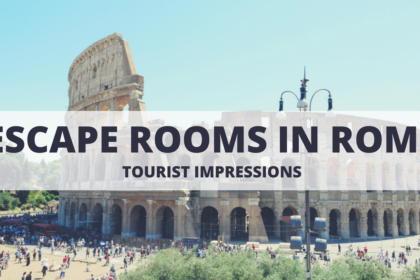 The only big complaint we can list about the rooms are the annoying phones. While not really needed in Dark Side of the Moon, they are essential to the gameflow of Project DIVA. Interacting with those devices was really time-consuming and annoying. On the other hand – if they can get a handle on the performance issue, it is a nice way to include every group member, since everyone can access the information on their own device. All in all, both games are family friendly and fun. 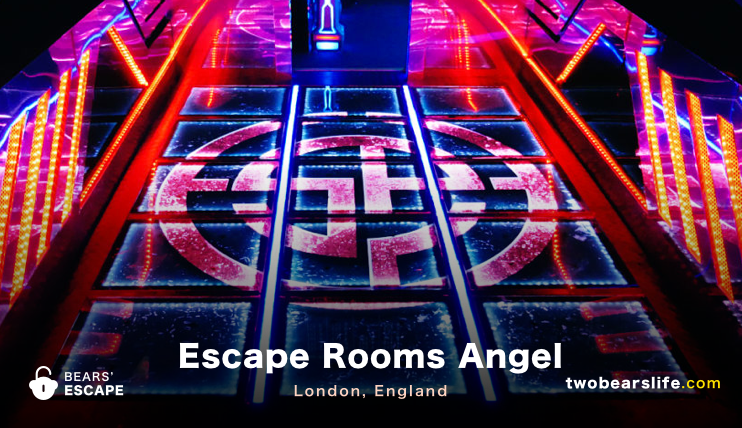 Escape Rooms Angel offer two very futuristic rooms. While “The Dark Side of the Moon” focuses more on action and offers easier puzzles, Project DIVA is clearly more puzzle and logic oriented. You should be more than 3 people for both rooms. The location is reachable by subway and bus or subway and a short walk, and the staff was very nice. Be advised that you will have to handle smartphones during the game that may react a bit slow to your input – just give them a little bit of time. In general, both rooms look great and we had a good time.